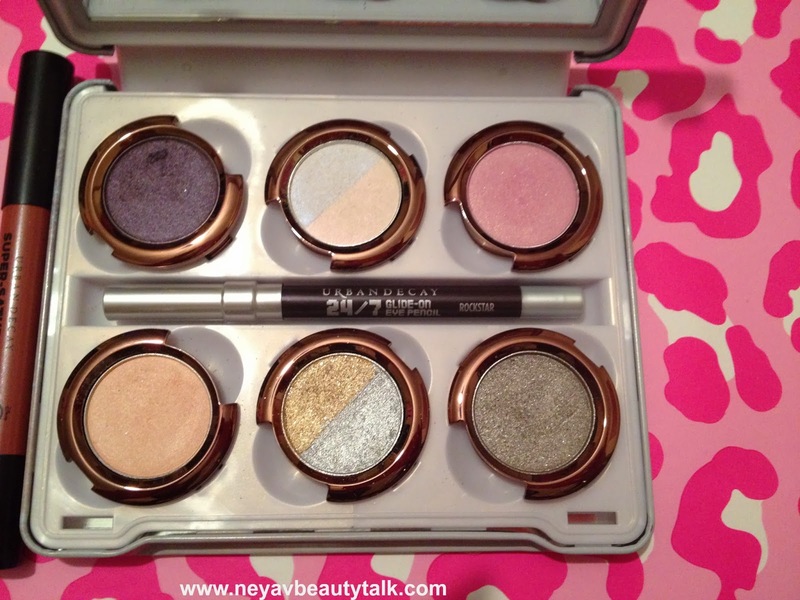 Neya V Beauty Talk: Urban Decay Haul! 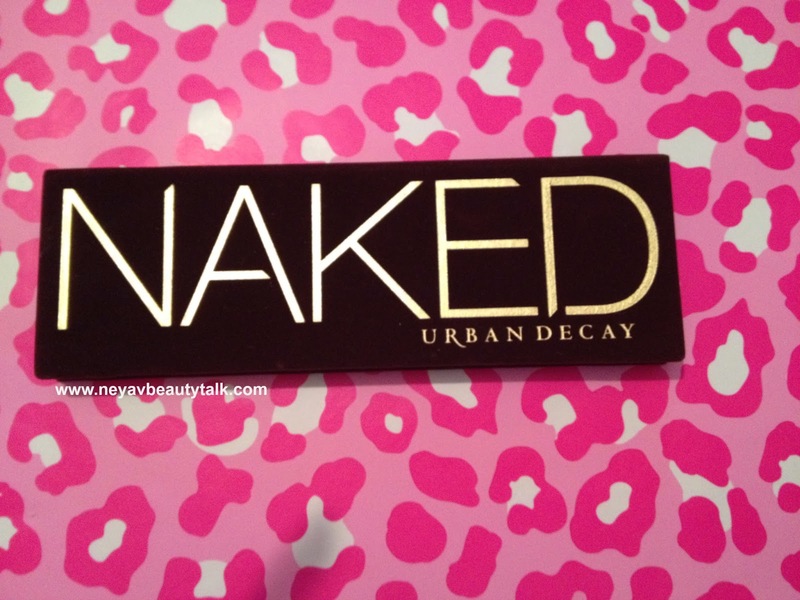 I've been wanting the Naked palette for a couple of years. I kept putting off buying it because I didn't feel comfortable enough with my makeup skills to purchase such an expensive palette. Now that I feel comfortable with applying makeup I felt like this was the time to move on to quality makeup. I was drawn to this palette because of the colors in it. 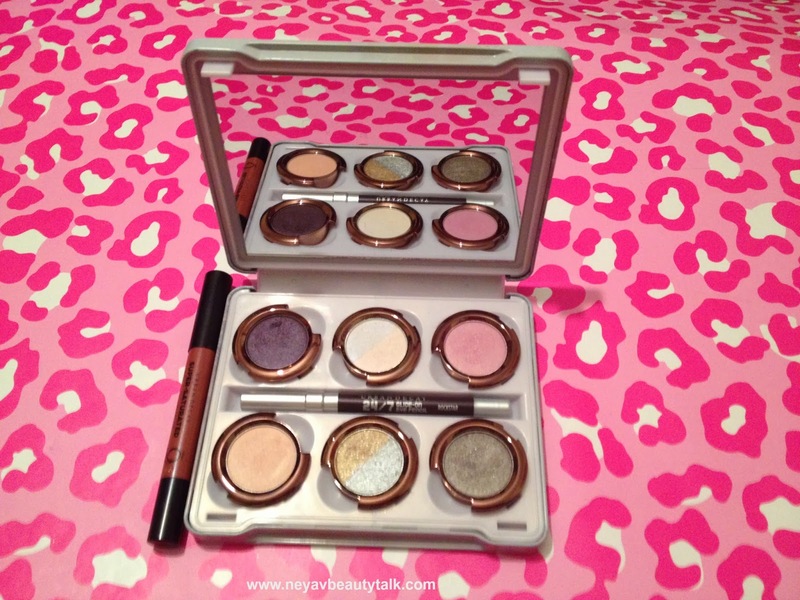 I love neutrals and this palette has a nice selection of them. 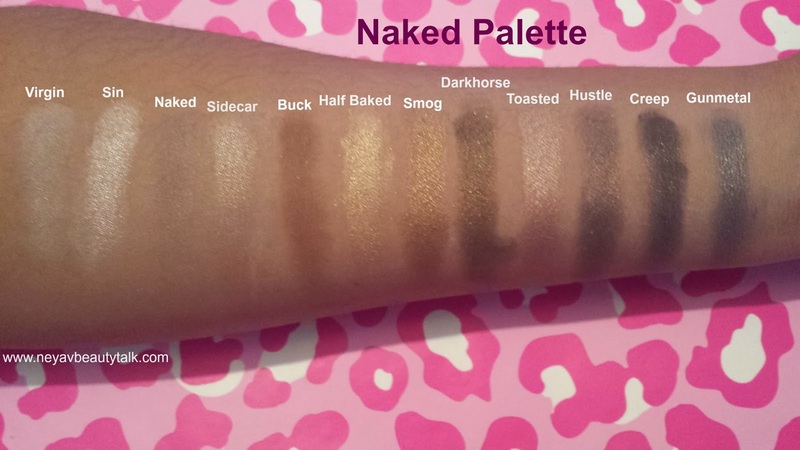 I like that this palette offers a few matte shades along with the shimmer ones. 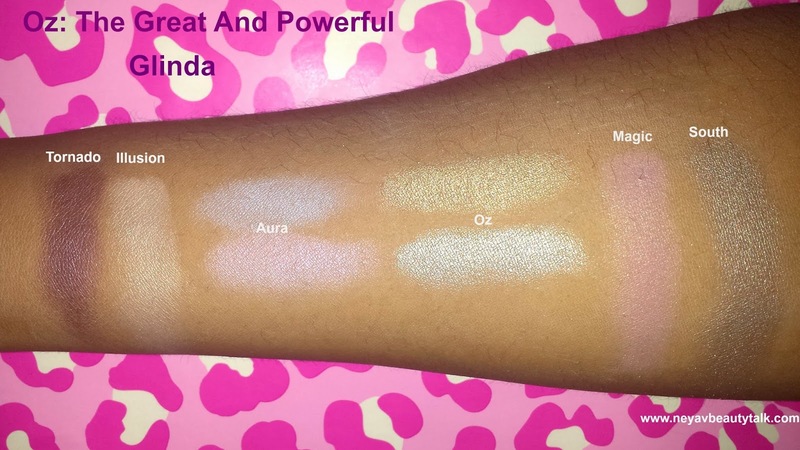 These swatches are with the UD Primer Potion. Naked is the only one that barely shows up on my skin. 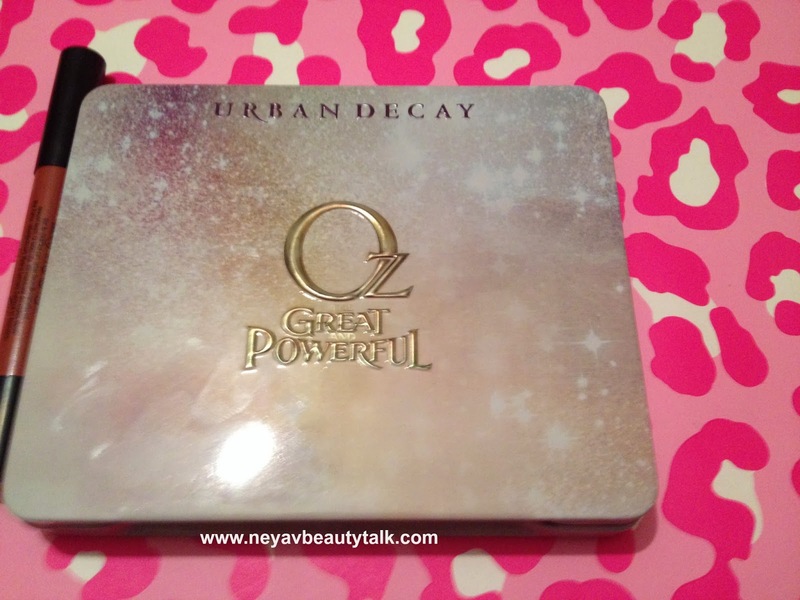 The next thing I got is this beautiful Oz The Great And Powerful Glinda Palette! Just like the Naked palette I knew I had to have it. When both the Glinda and Theodora palettes were introduced I was mesmerized. At first I couldn't decide which one I wanted. Theodora was full of beautiful neutral shades while Glinda had gorgeous pastels and metallics. Theodora was right up my alley and Glinda would take me out of my comfort zone. 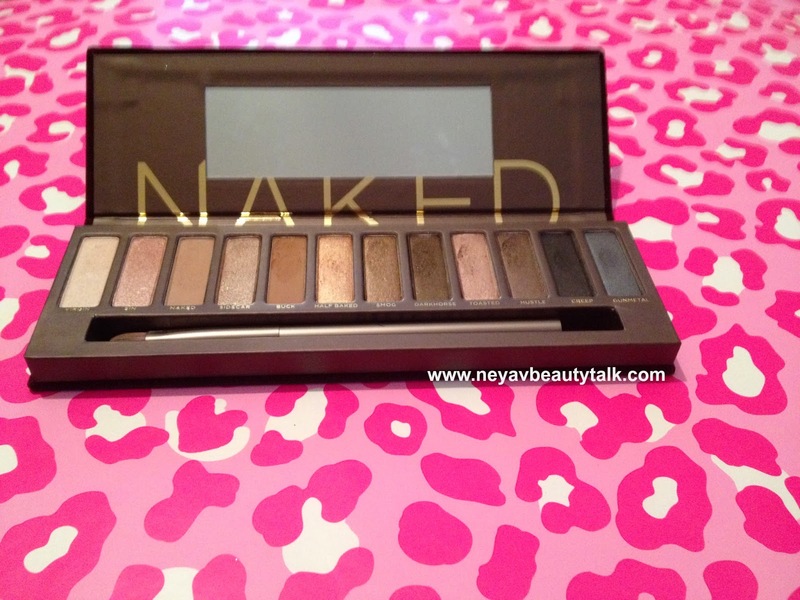 I ultimately decided to go with Glinda because I don't need two neutral palettes and buying Naked was a must. I'm really happy I went with the Glinda palette! I love the color choices. It comes in a tin container. It doesn't stay open on it's own so if you want to use it with the mirror you have to prop it up against something else. I like the lipgloss that comes with it. 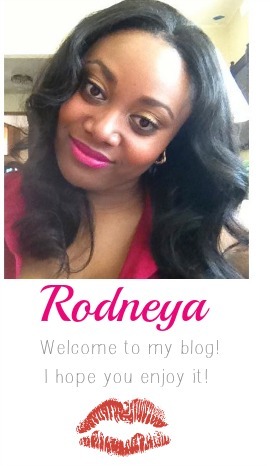 It's a very pretty shade of pink and can be worn everyday. It's also very cream and smooth! The shadows are nicely pigmented. I really like the iridescent one (Aura)! I definitely love the eyeliner pencil! 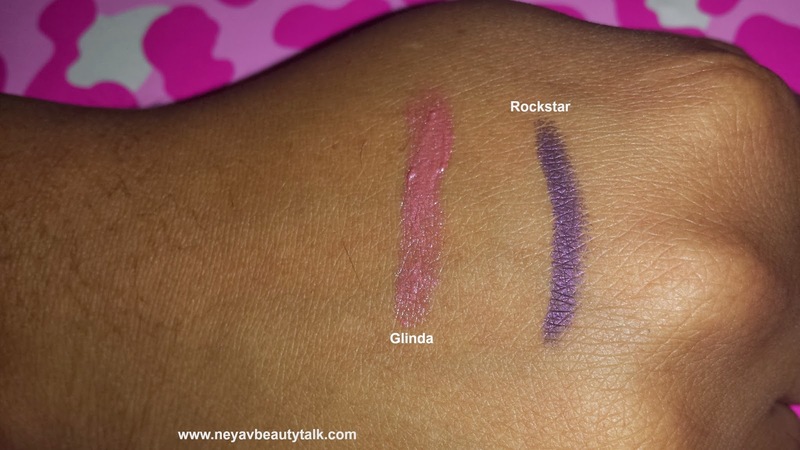 I am obsessed with UD's 24/7 glide-on eye pencils so I'm happy to have this in another color. 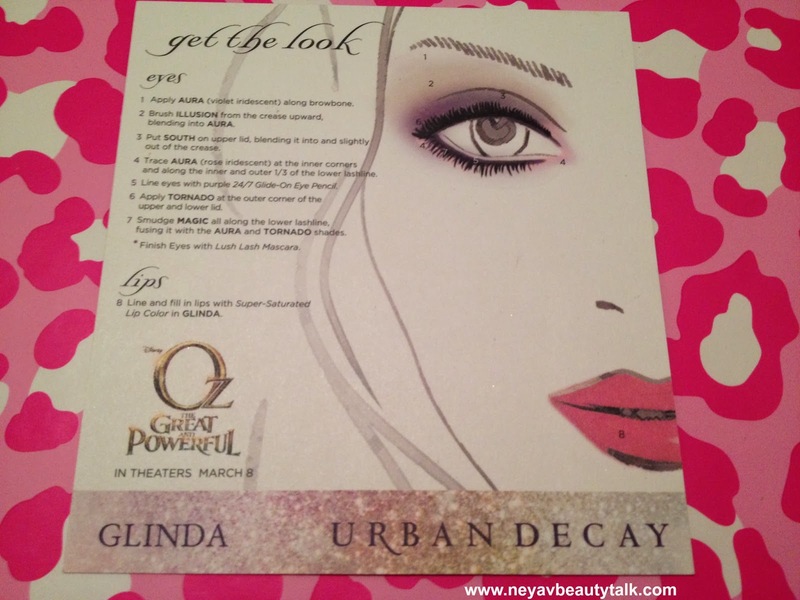 This palette also came with a look card that shows you how to achieve the look of Glinda! I thought that was a really nice touch! 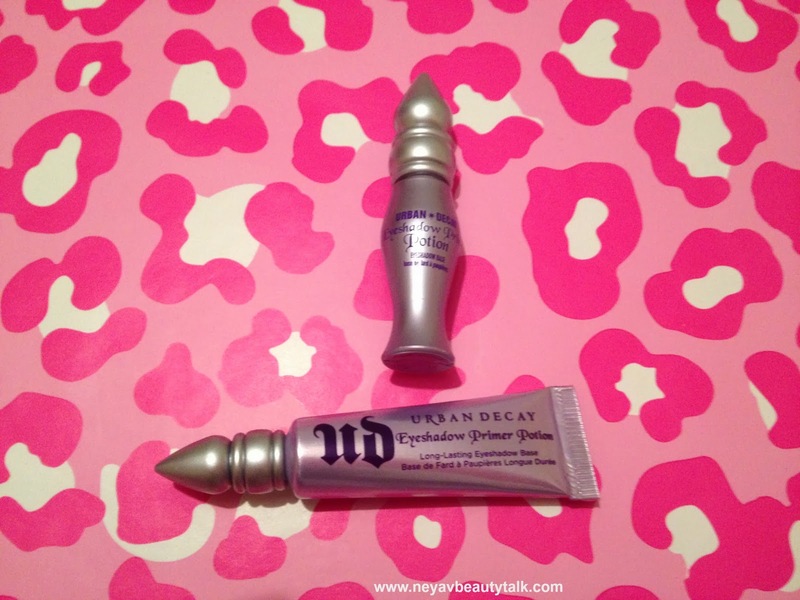 The last products that I have to share with you are the UD Primer Potions that I got! I didn't realize that the Naked palette came with the primer potion so I went ahead and bought one too. What's really weird is that I like the one in the tube (bottom in picture) a lot better. For some reason it seems like it works a lot better. I will do an in-dept review of these products once I really get a chance to play with them and see how I like them. As of right now, I'm really happy with my purchases and am impressed with their quality! Do you own any of these products? What are your thoughts on them?